Why study the MSc Management with Integrated Placement (15 months/24 months) at Middlesex University? In order to qualify for the placement period you must have passed all modules in the semesters preceding the placement. The placement will take place after the taught modules and before your dissertation/applied project. What you will study on the MSc Management with Integrated Placement (15 months/24 months)? With six compulsory course modules covering areas of finance, strategy, decision making, entrepreneurship and operations the course embeds core knowledge that gives you a base from which to gain a deep understanding of the fundamentals of management. From this point you will select from a range of optional modules, taking an active role in guiding your learning along a path that is relevant to your interests and career aims. The final element of the course is a project whereby you will develop further the skills and knowledge gained by applying them to a specific management issue or problem. This will demonstrate your proficiency in relation to scoping the issue(s)/problems, consideration of appropriate literature, collection and analysis of data, management of the change process and justifying specific recommendations or conclusions. This module equips future managers with the quantitative tools to help them make rational decisions under uncertain conditions. 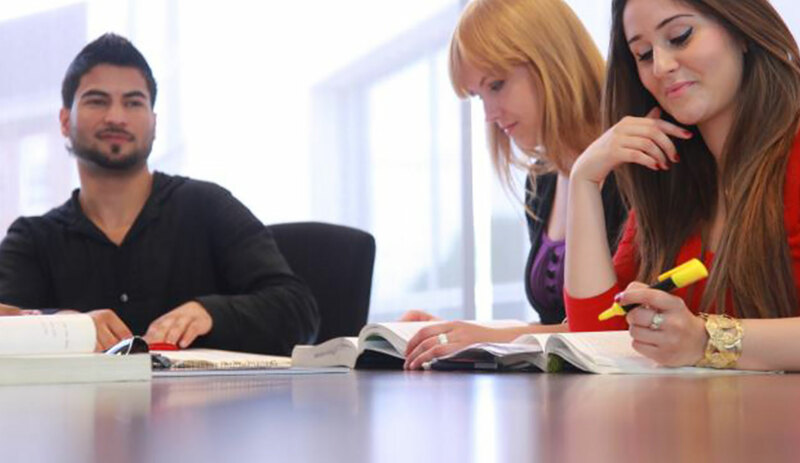 The module develops students ability to apply statistical techniques to a wide range of business and management problems in a structured way. Students will gain an appreciation of the appropriateness of different techniques in a given situation. The module develops the students understanding of the tools and their application with use of software packages and SPSS. This module aims to develop students knowledge and understanding of the concepts, tools and methodologies of operations management. Students will develop critical and analytical insights into current operations management practices, explore the priorities and techniques of operations management and employ these to the design, operation and control of business processes. This module aims to present the international nature of business supply chains and how companies work in a global marketplace. Students develop a critical understanding of the theories and practices of how companies grow and manage their global supply chains. The module enhances students understanding of business competitiveness in global marketplaces. Students will be taught the underlying theories that will enable them to evaluate the choices given by organizations and how these are linked to the management of these international networks. This module provides students with a means of developing further the skills and knowledge gained on MSc Management, by application to a specific organisational issue or problem. It enables students to demonstrate proficiency in the design of a business enhancement project, application of appropriate methods of investigation, management of the change process, and maintenance of vision in the face of the vicissitudes of business realities. This module will inform students of the key developments in, and thinking from, the study of strategy and leadership. The module aims to explore the models, tools and theories used in strategy and leadership and critically appraise where and when such models, tools and theories are effective. The central aim of the module is to achieve a balance between theory and practice and to use strategy and leadership tools to address the complexity and uncertainty facing organisations. This Module will equip students with an overview of emerging technological trends and how organizations can exploit technologies for competitive advantage. The complexities of technologies, the systems and how these have changed the way organization function will be analysed to elicit the value added. The aim of this module is to develop an understanding of the major issues in corporate finance. In particular it develops the student’s ability to analyse corporate finance issues; apply finance theories to deal with practical issues in corporate finance; and investigate emerging issues and contemporary trends in the field. This module explores the major concepts, models, tools, and metrics used in management analytics for overseeing management related projects. Specifically, in the first part of the module students will be equipped with building blocks of management analytics. In the second part, the module will provide students with fundamental machine learning concepts and techniques, which are most applicable to management research. This module is designed to equip students with consultancy skills within organisations. The module will focus on developing strategic consultancy skills, diagnostic techniques, group dynamics, communicating strategies, managing interventions and change management. It will enable students to apply the key skills required in varying contexts to ensure that the clients are offered effective and practical advice. How will the MSc Management with Integrated Placement (15 months/24 months) be taught? You will attend lectures, including talks by guest speakers, as well as seminars and workshops, some of which will focus on research methods. These sessions will involve peer group interaction and aim to sharpen both your critical and analytical skills. You will also work on case studies to enhance understanding of practice situations and undertake directed reading and study, including online activity. We welcome applications from graduates with a 2:2 honours degree or above in an appropriate subject, or an equivalent overseas qualification. How can the MSc Management with Integrated Placement (15 months/24 months) support your career? This Management course is ideal for those wishing to develop their skills and progress into leadership roles with exciting career paths. Previous graduates have embarked on a range of very well paid careers in finance, project management, marketing, risk management, sales, quantitative trading, arbitrage, and computer and information technology.